Former champion Caroline Garcia is back into the quarterfinal of Mallorca Open for the third year in a row after defeating Johanna Larsson in straight sets, 6-4 6-3. The Frenchwoman kept her unforced errors down at eight and struck 26 winners during this 73-minute win. Garcia started out her grass season this week with a tough win over Su-Wei Hsieh in two hours and eleven minutes, 7-6 1-6 6-4. After lifting the trophy here in 2016 (d. Sevastova in final), she made it to the semifinal in the title defense campaign last year, losing to Sevastova. This is the reigning Beijing-Wuhan champion’s sixth quarterfinal of the year, in which she has gone 2-3. Apart from #25 Suarez Navarro at Madrid, the remaining four quarterfinal opponents were top 10 players. She has a 9-2 season record against outside top 50 players. Sofia Kenin, who fell in the qualifying rounds of Mallorca on her debut last year, is into the quarterfinals after defeating Alison Van Uytvanck in three sets. Coming all the way from the qualifying stages this week, she needed little more than two hours to dispatch the world #47 (2-6 6-4 6-4). 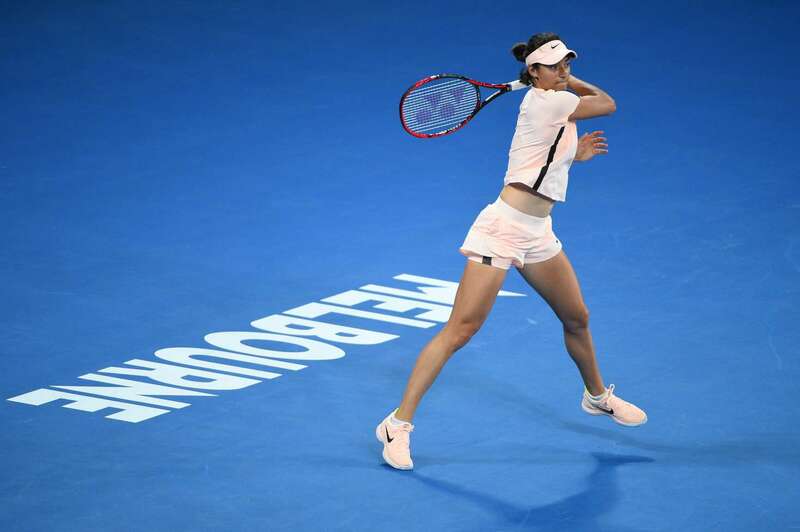 This is the American teenager’s second tour-level quarterfinal appearance, the first one coming at Auckland earlier this year (l. eventual runner-up Wozniacki). Kenin debuted and consolidated her position in the top 100 to #85 after reaching the third round of Miami as a qualifier (d. Kasatkina). This is Kenin’s first encounter with Garcia and third with a top 10 player, having lost the previous such matches to Wozniacki and Kvitova (Miami). Top seed Garcia should be able to dispatch the teenager without much trouble.